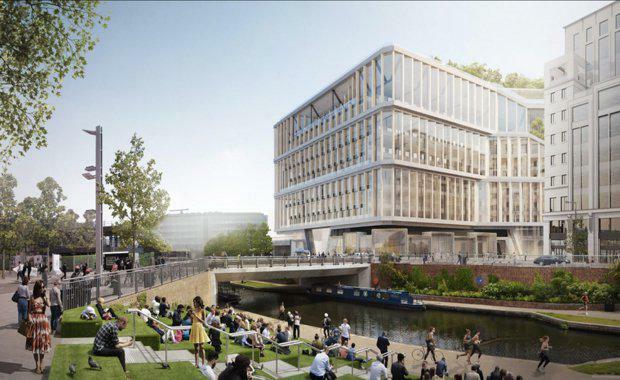 Google has submitted an application for planning permission to create its next wholly owned building in King's Cross, London. The plans detail a purpose-built 11-storey building, comprising of more than 1 million square feet, of which Google will occupy 650,000 square feet, designed by Heatherwick Studio and Bjarke Ingels Group (BIG). 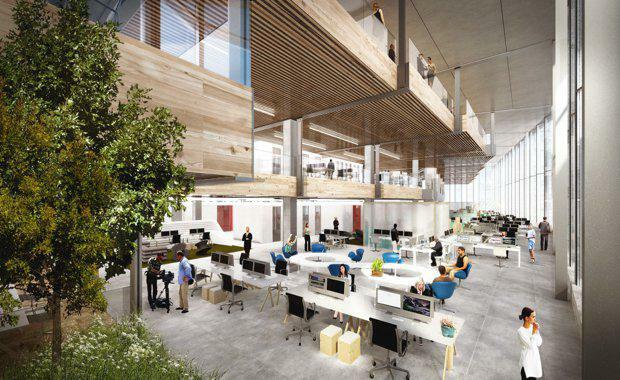 The building's design proposal featured a natural theme, with all materials sourced through Google’s healthy materials programme. 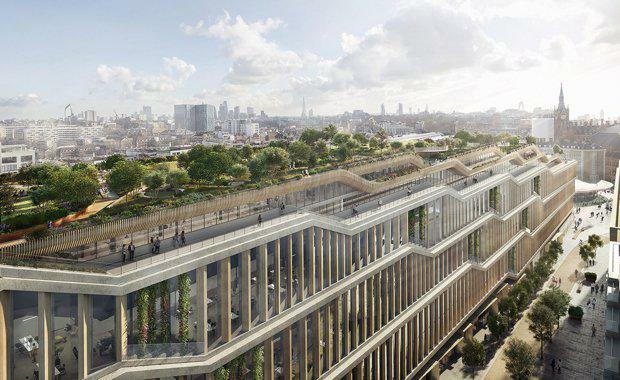 The London HQ, combined with the current building at 6 Pancras Square and an additional third building, would create a Google campus with the potential to house 7,000 Google employees, and will feature a huge rooftop garden, a running track and a swimming pool. Google Submits Latest Version Of New California HQ]Having lived and worked in King's Cross for 15 years, Heatherwick Studio Founder Thomas Heatherwick said he used his close relationship with the area to influence the design, drawing inspiration from the surroundings so the Google HQ will become a 'piece of infrastructure', made from a family of interchangeable elements which ensure that the building and its workspace will stay flexible for years to come. 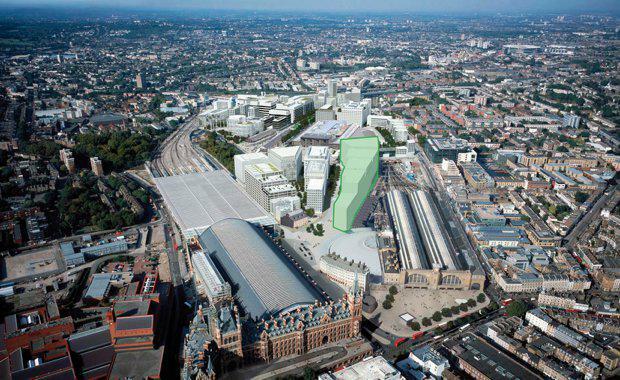 "The area is a fascinating collision of diverse building types and spaces and I can’t help but love this mix of massive railway stations, roads, canals and other infrastructure all layered up into the most connected point in London," Mr Heatherwick said. Bjarke Ingels Group Founding Partner Bjarke Ingels, as joint architect of the building, said the design took advantage of the contextually defined building envelope while creating continuously cascading work environments that will connect Googlers across multiple floors. “Our design for the new Google Campus at King’s Cross is rooted in the local character of the area. Once built, Google will integrate it's HQ into King's Cross Knowledge Quarter and harmonise with the area's knowledge-based economy. “Google have supported the Knowledge Quarter vision from the beginning and it will be a pleasure to welcome them into their new headquarters building at the heart of the neighbourhood," Chair of the Knowledge Quarter Chair Roly Keating said. "The arrival of thousands of Googlers mixing with scientists, archivists, academics and students will accelerate the incredible breadth of innovation taking place in this unique part of London. Construction will commence in 2018.